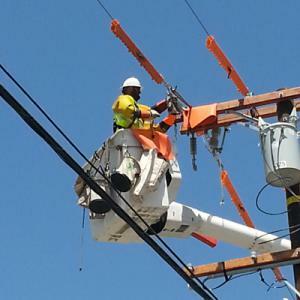 POMONA, CALIFORNIA, UNITED STATES, February 4, 2019 /EINPresswire.com/ — Driving down the street, you don’t think of all the essential work electrical linemen do every single day. They fade into the background in their buckets, but they’re people too. They deserve to be as safe as possible. They deserve to retire enjoy the rest of their lives. So why aren’t they using the safest equipment possible? That’s what Vance Thomas wants to know. In 2009, Thomas, a semi-retired journeyman electrical lineman, started experiencing intermittent blackouts. Thomas would be misdiagnosed with epilepsy and prescribed every epilepsy medication there was. Of course, none worked. That’s when he started to do some research on his own. What he discovered shocked him. According to Thomas, linemen are only taught about ohms, volts and amps. But there is another form of energy linemen are exposed to: gauss. Gauss, or magnetic induction, is a measurement of the electron field. If you're in a linemen’s bucket, your body absorbs those electrons. But your body can only stand so much. When we are outside in the sunlight, we are exposed to 2 to 4 Milligauss of magnetic induction, radiation from the Sun; when we are in a MRI Tube we are actually exposed to 15,000 to 30,000 gauss, for a period of less than five minutes. When linemen are in High Voltage Rubber Gloving they are exposed to 100 to 10,000 Gauss for hours, depending on Voltage and Amperage. Linemen are not advised of this overexposure or cautioned of its possible negative impact on them. When overexposure occurs the cells use a gene map prematurely; the cell may have enough of a gene map left to reproduce a cell that is deformed, which is cancer. Until 1998, journeymen linemen in California used fiberglass sticks. The power company’s protocol changed and said if the union didn’t switch from fiberglass sticks to rubber gloves, they would be out of jurisdiction and could no longer work in California anymore. 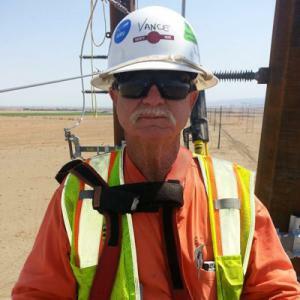 For Thomas, the seventh journeyman lineman in his family, who had worked from Sacramento to the Rio Grande, this was not an option. Thankfully, Thomas’ cause is a simple one with a simple solution. 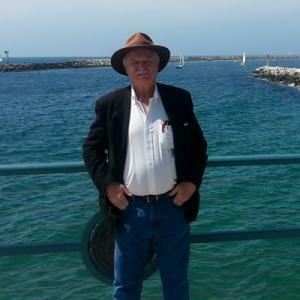 CUTV News Radio will feature Vance Thomas in an interview with Doug Llewelyn at February 6 at 3pm EST and with Jim Masters on February 14th and February 20th at 3pm EDT.